GPACKET (0082) forming "U" pattern. Immediate support @ RM0.405 level. Subsequent support @ RM0.385 level. 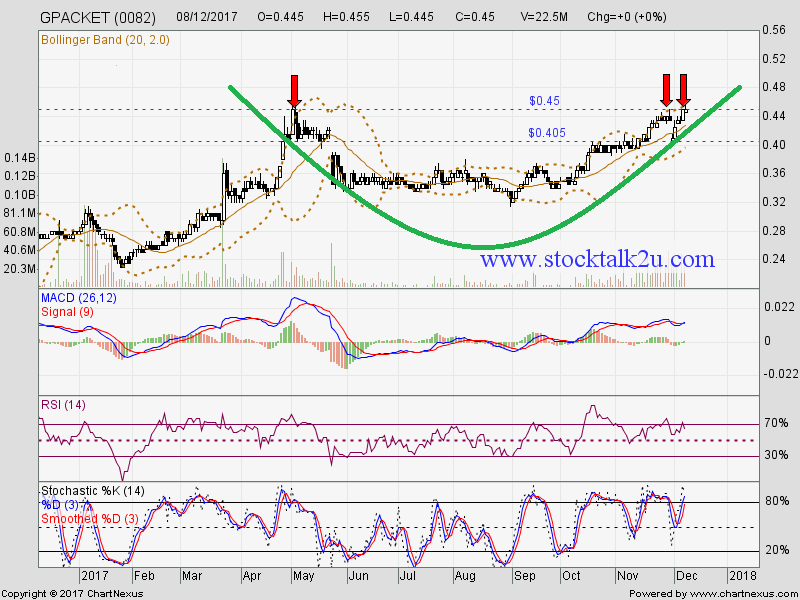 Immediate resistance @ RM0.45 level. 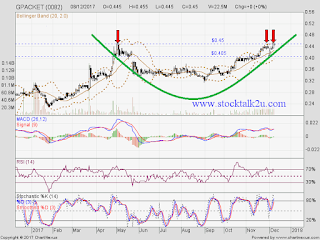 If breakout RM0.45 level, higher high is confirm.